Which treatment agents should be used for different surfaces, and what is their correct dosage? What are the occupational safety measures that need to be taken into account? And which efficient cleaning method is appropriate for routine daily cleaning of a linoleum covering? Employees in the office cleaning sector are faced with these and similar questions every day. As well as presenting the principles of cleaning and hygiene techniques and the correct use of cleaning and care agents, this booklet also discusses the most up-to-date cleaning technologies for a wide range of surfaces. In addition, it considers other important topics concerning microbiology and disinfection, plus employment and environmental protection. 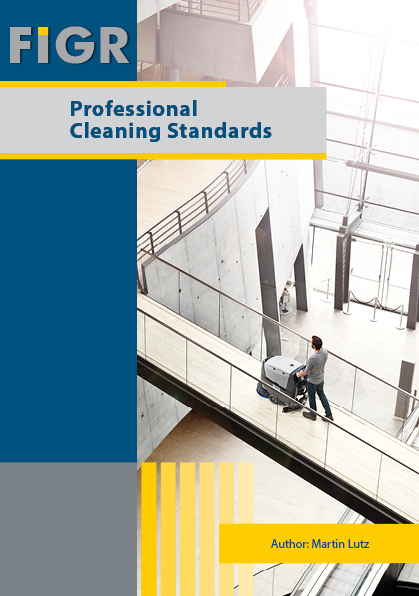 This booklet can be used both as a manual for the new daily challenges facing property managers, and also as a reference work for consolidating basic knowledge about cleaning and hygiene techniques. It provides novices and property managers with an overview of the range of cleaning options available, while the very practical nature of the text means it can function as an application aid for users. The author is the head of FIGR, the research and testing institute for Facility Management GmbH in Metzingen, Germany. He has published several previous works in the specialist field of cleaning and hygiene technology. The author is open to any suggestions of additions or improvements to this professional cleaning guide.